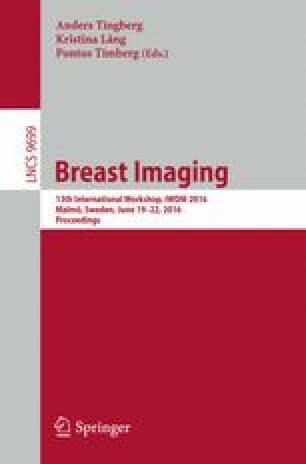 The aim of this work is to test whether a 3D structured phantom with simulated lesions can be used for performance evaluation of 2D digital mammography, as a step towards a multimodality phantom. A phantom, developed for breast tomosynthesis was therefore applied on 23 digital mammography systems. Ten images were acquired at the clinically used dose and for 11 systems also at half and double dose. The images were read in a four-alternative forced choice (4-AFC) paradigm by 5 readers. CDMAM phantom acquisitions were also performed. It was possible to calculate diameter thresholds of the simulated masses and microcalcifications that guarantee 62.5 % correct response. The results showed the expected sensitivity with mean glandular dose: detectability of microcalcifications improved with dose, whereas the detectability of masses was not affected. Systems of the same manufacturer and operated at similar doses had very similar detectability scores. Percentage correctly detected microcalcifications with average diameter 119 µm correlated with CDMAM based gold thickness thresholds. Present phantom, developed and tested for tomosynthesis, is also a good candidate for 2D mammography, suggesting its use for (future) benchmarking of at least two types of imaging systems. We would like to acknowledge the 4-AFC readers: Andreas Stratis, Frédéric Bemelmans, Michiel Dehairs, and Xochitl Lopez Rendon.